Each year millions of windows fail. Most of these windows end up in landfill sites due to the prevailing misconception that there is no alternative. Unfortunately, the environmental consequence of window failure is far greater than simply overflowing landfill sites. Failed windows that are not properly repaired or replaced have reduced R-value, thereby decreasing the energy efficiency of our residential and commercial buildings. Further to this, window replacement itself contributes to the production of greenhouse gases by prematurely terminating the useful life of an otherwise repairable window, resulting in an increased demand for new window production. New window production generates greenhouse gases at all stages, from raw material extraction and processing, to manufacturing, assembly, and transportation. 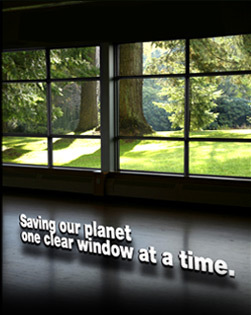 This cycle of environmental pollution can be avoided by repairing windows with The Green Window Works Solution.